According to a senior congressional aide, the U.S. reached a deal on Friday that will lift the U.S. export ban that has practically put China's ZTE out of business. The ban prevented the Chinese phone and network equipment manufacturer from sourcing hardware, software and components from the states. 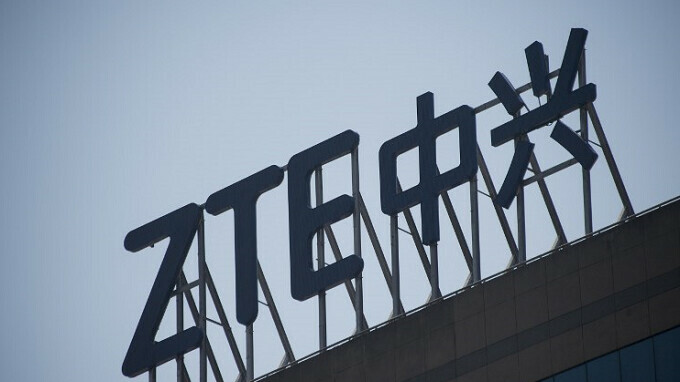 ZTE had violated U.S. sanctions by selling goods and services to Iran. The Commerce Department fined the company over $1 billion, and ordered that ZTE employees involved in the Iran sales have their bonuses withheld and a letter of reprimand placed in their files. The agency also ordered a seven year export ban be placed against the manufacturer, although that was stayed as long as ZTE kept its corporate nose clean. When ZTE failed to comply in a timely fashion, the export ban was put into effect. In exchange for lifting the export ban, ZTE has agreed to a substantial fine, and will shake up its management team. In addition, U.S. compliance officers will be installed inside the company. The ban was originally supposed to run to March 2025. In 2012, a Congressional Report called ZTE and Huawei threats to National Security and suggested that their products be banned from the U.S. For the first quarter of this year, ZTE was the fourth largest smartphone brand in the U.S. based on sales. The company had 10% of the stateside market during the three month period. Isn't that the same deal they were given before but ignored? Disregarding your second statement (which is definitely accurate) Iran’s government has secretly backed terrorist organizations for decades now. Not to mention Iran is a direct enemy of the Israeli government. Not saying Iran is as awful as NK (whom ZTE also sold stuff to) just stating facts. I would say they're even worse than NK. NK doesn't have terrorist organisations like Hizbullah and the Houthis planted in other countries and having full control on them due to the immense armed force they have. Good point. Kinda hard to rate either of them considering they are both really, really awful. Maybe the fact that they keep taking US Navy officers passing close by as prisoners and promising to kill all Americans. What are US Navy officers doing there in the first place? That's right, you know the answer well, but hey - if media says Iran is a threat, then it's a threat, right? What? Lol Them and Saudi Arabia are the main reason why the Middle East is a mess, and this coming from a Muslim Sunni man. They planted their terrorist organisations in Lebanon, Syria, Iraq, and Yemen and they have been fighting their inhuman battles in these lands, resulting in hundreds of thousands of dead people. Yeah sure the US started the whole mess, but SA and Iran took advantage of this mess and reignited the thousands years old war between Persians and Arab using their own twisted versions of Islam as an excuse for this war. Did you watch argo? It's not 100% accurate but all the sanctions they get today started on that US embassy breach. You should also read Iran's history, they were as capitalist as US and UK until they changed their government. Lobby check is clear, where Trump swam. All this is just smoke and mirrors. It's all just part of the trade spat between the US and China. The US decided to use ZTE as a pawn in this and China retaliated by threatening to scupper Qualcomm's deal to buy NXP for $44 billion. The US were not expecting the Chinese to threaten the Qualcomm deal hence the repeal on ZTE. China will now sign off on the Qualcomm NXP merger and boom! everyones happy. To the author: Why don't you just rename the site to PoliticsArena and call it a day?